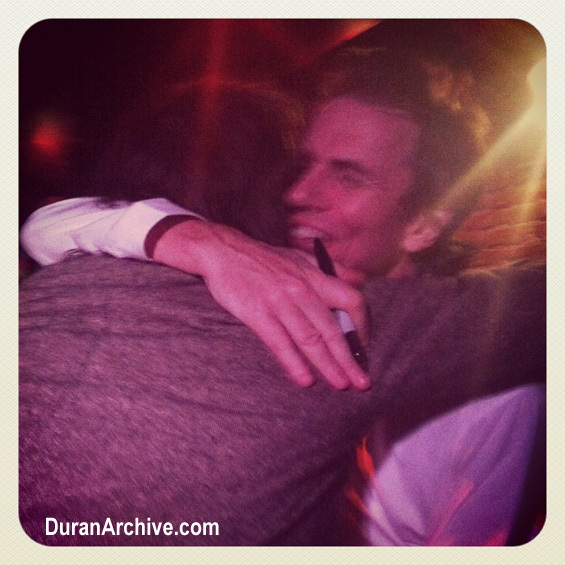 Duranies Unite founder, Anji Bee, finally got to meet her favorite Duran Duran member, John Taylor, at his recent In The Pleasure Groove book reading and autograph tour. She attended the October 25, 2012 Book Soup event in Hollywood with her friend Gerard, who worked with John on the Juicy Couture menswear line and is friends with John’s wife, Gela Nash-Taylor. Though conditions were not idea for photographing, Anji captured a few cool images. 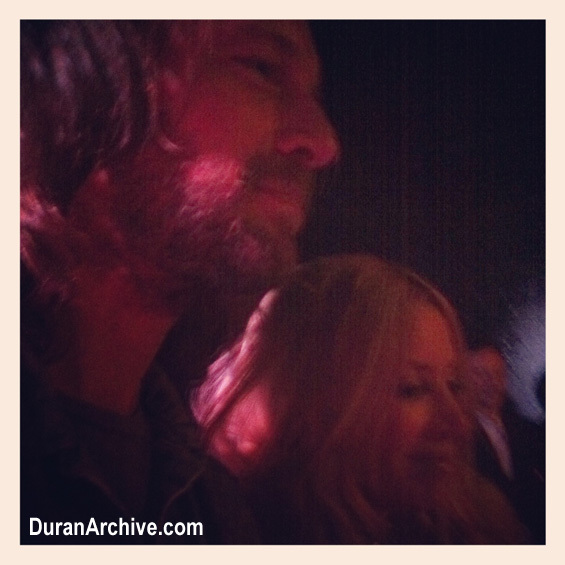 Several pix with Anji were posted to Duran Duran’s Facebook albums for the event – woo hoo!